1. // 2. // 3. // 4. // 5. // 6. // 7. // 8. (top & bottoms) // 9. // 10. Hey guys! Happy Friday! Hope you have had an amazing week! 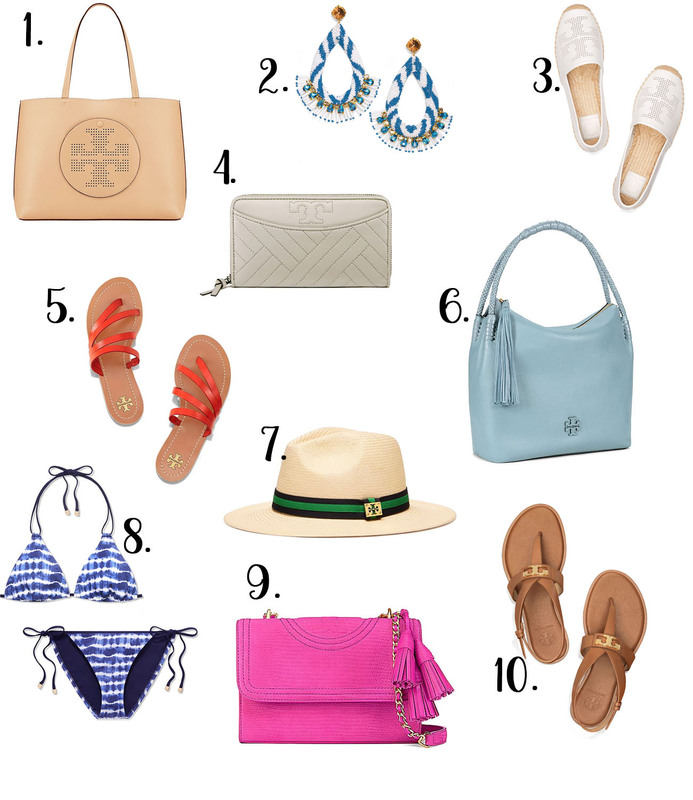 The Tory Burch Semi-Annual Sale started yesterday and oh my gosh you guys-there is SO much cute stuff! All of the sale items are an extra 30% off with code 'EXTRA30'! #3 comes in some other colors & I'm LOVIN the pink! #1, I've been eyeing for quite some time! #5, is just a great basic summer sandal! #6, obsessed with the color of this hobo bag! #8, I'm loving the tie-dye suit!! These are all my top picks & I hope you love them!